The newest Mass Effect 3 co-op DLC, entitled Reckoning, drops today on PC, Xbox 360, and PS3. Are you ready for it? Like all ME3 co-op DLC, it's completely free and offers a large amount of goodies. 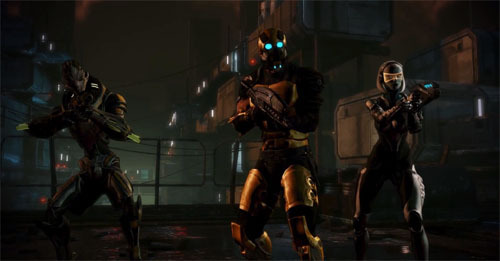 Like we told you guys last week, Reckoning will introduce new character classes, weapons, and equipment. This marks the fifth and final co-op DLC for Mass Effect 3. While it's always sad to have such great and free content come to an end, it's certainly impressive the amount of support Bioware gave to the co-op mode of the game. Among other things, these five DLC packs added 41 characters, 19 weapons, 7 maps, 6 hazard maps, a new difficulty level, and two new objectives. That's pretty darn cool. The co-op mode of Mass Effect 3 supports 4-player online co-op. The Reckoning DLC is out today on Xbox 360, PS3, and PC. Be sure to check out the fancy trailer for the DLC below.